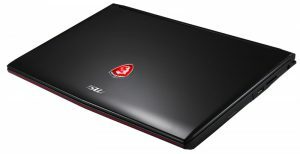 So, I’ve bought a new laptop (MSI GPTS 6QF Leopard Pro). I was looking for a high-end mobile desktop machine which was good f or coding and also for graphics processing. Hence I bought a gaming laptop, guaranteed to be fast and powerful for the next few years. The box says plug and play, and after some initial settings like timezone and region you can pretty much do whatever you want. But I want to transform this gaming rig into a solid developer machine, so I still had some work to do. System restore point: My system works fine now, but in the future, I might install some piece of software or a virus that destabilizes my work environment. Creating restore points gives you a fallback. You can then return to the situation before the last piece of corrupting software was installed. Here’s how for windows 10. It was turned off on my new laptop, so I turned system protection on, and reserved around 11gigs for restore points. Windows updates I found out that my new rig was created and installed about 100 days before I bought it. So that’s 100 days off windows updates that I’m missing. Only 7 update packages. I was expecting more, but I guess that the ‘cumulative update’ package conceals a lot of it. It sure took it’s time downloading them all. Unhide file extensions and hidden files Go to ‘file explorer -> view’. and then check the two boxes on. I changed my mind, lets start by uninstalling all the bloatware first. I decided to keep the software from MSI itself, since it is written to alter the specific hardware I’m working on. Most of the above will never be used and some of them are actually trying to get me to buy something. Anyhow, they’re all gone now, never to be seen again. Keepass: You should use a different password for every application or website which you use. Most people don’t do that, but if you do, then Keepass is an excellent way of storing all those passwords without having to remember them. If you’ve used it on your previous pc like I did, then you need to copy the file with all your passwords, otherwise you’ll have an empty safe. 7-zip: It’s like winZip, but better. Fiddler: is a tool which looks and records your network traffic. thus allowing you to debug websites, do performance testing, and manipulate packages and so on. A must have for every web developer. Virtuawin: Do you want a setup with 16 screens, but without the cost and effort of actually buying and installing them. Greenshot: Make your ‘Print Screen’-button usefull. Gimp/Photoshop: This will satisfy all my grafic needs. WebStorm: front-end coding environment. It’s like notepad++ on steroids. I like to make my own theme with pictures of my family. In the background settings, select a map with pictures that you like, and then set the time to around 30 minutes. Personalize the start button, add you favorite programs, and remove everything irrelevant. The last thing I need to do is copy all my important files from my old pc to my new laptop. Luckily, most of my stuff was already on an external drive or in the cloud.